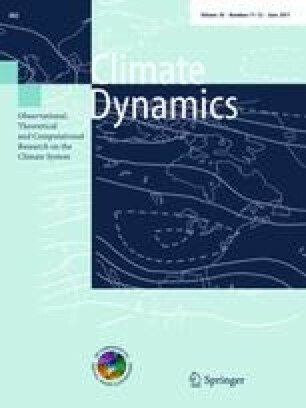 The influence of the intraseasonal variability on heat wave development over subtropical South America during austral summer is analyzed. The role of the South Atlantic Convergence Zone (SACZ) on this development is documented. Results show that intraseasonal variability can explain on average at least 32% of summer temperature variance. Moreover, 73% of the heat waves in subtropical South America develop in association with an active SACZ. The analysis of pentad maps shows that warm conditions in the region under study develop in association with the strengthening of an anticyclonic anomaly, which is discernible over the subtropical regions at least 15 days before temperature peak occurrence. That circulation anomaly is embedded in a large-scale Rossby wave train extending along the South Pacific Ocean that is linked to convection anomalies at the equatorial western and central Pacific Ocean. In addition, the development of the anticyclonic circulation over subtropical South America appears to be strengthened by the subsidence conditions promoted by the active SACZ, which result in temperature rise in the subtropical region under relatively dry conditions. On the other hand, during the last 2 days of evolution, SACZ activity weakens and the progressive temperature rise in the region is dominated by warmer and moister air being anomalously advected from the north. Results confirm the important role that SACZ activity on intraseasonal time scales has in inducing persistent circulation anomalies at the subtropical regions that can result in the development of persistent heat waves, and very extreme daily temperature. This study was partially funded by UBACyT X204, NOAA/GC07-134, and ANPCYT-PICT04-25269.